I find it difficult to resist a bargain, especially when it comes to food. Carrots aren’t the most exciting kind of bargain, but at 78p per kilo it was hard to say no. Now I am adding them to everything because that’s quite a few carrots to get through with only two of you in the house! I love carrot cake but I’ve never made it before because I’m too lazy to grate the carrots. However, it recently dawned on me that I could actually use some of the attachments that came with my food processer instead of just getting annoyed with them falling out of the cupboard all the time! I was a bit worried the grater was too coarse but having eaten a muffin I’ll definitely be doing it this way again. 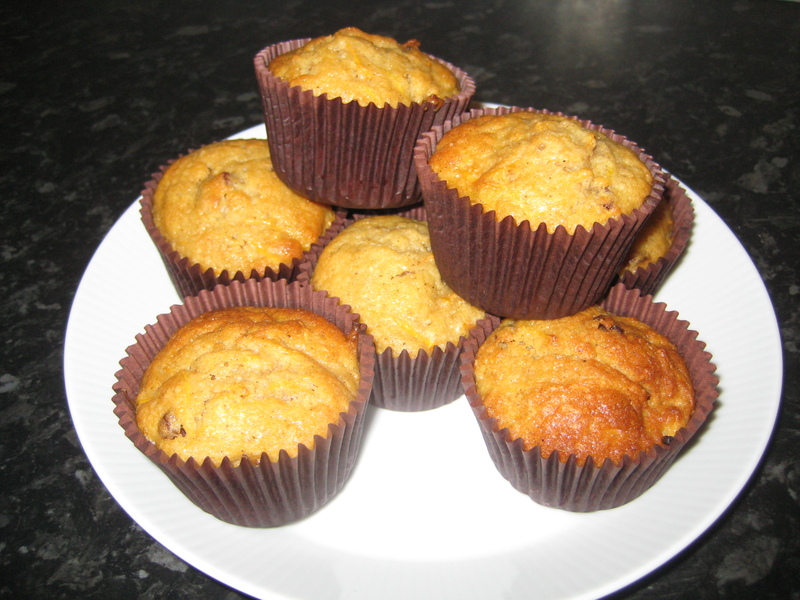 These were very easy to make- all I did was put all the dry ingredients into a large bowl and then stir in the wet ingredients, adding the carrots and sultanas last. 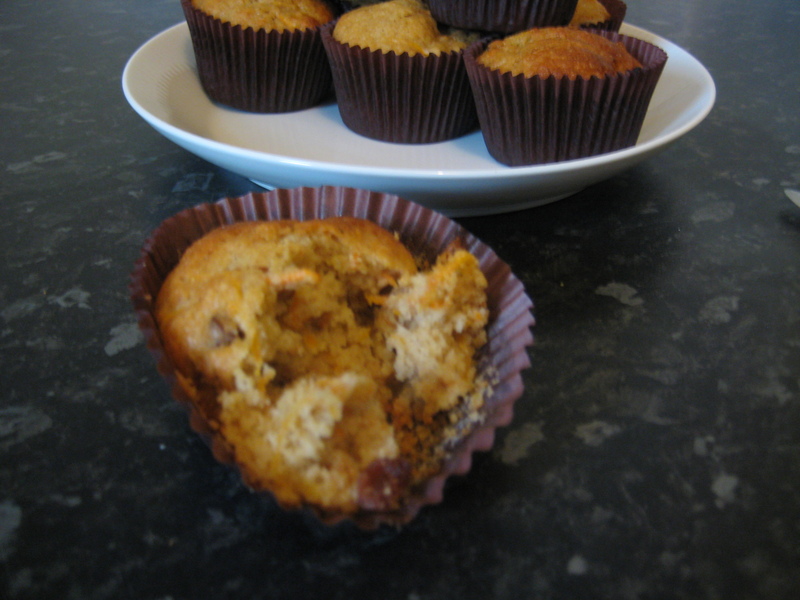 Then I divided them into muffin cases and baked for 25mins. If you have a sweet tooth you could ice these with some Philadelphia mixed with icing sugar, but personally I don’t think they need it. I worked out that eating 4 of these gives you about 1 of your 5 a day. Not sure that would be the healthiest way of doing it though!